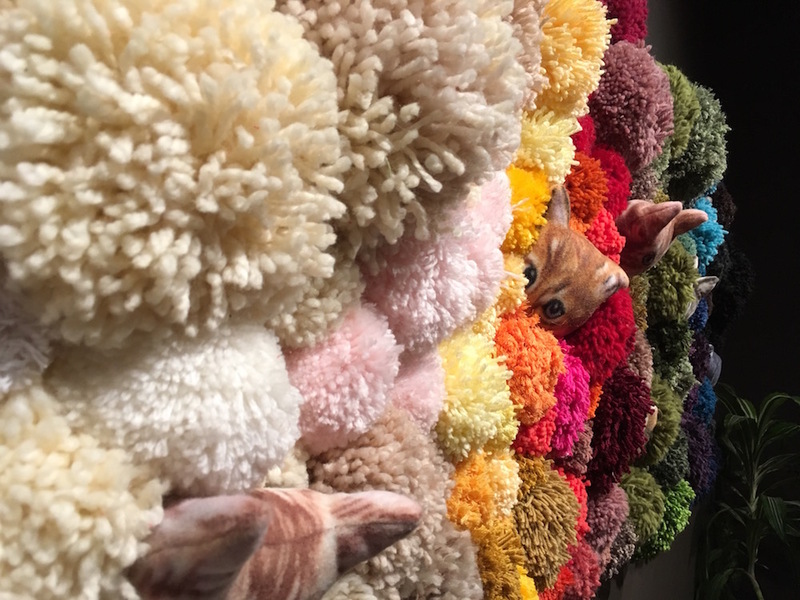 Did you miss seeing Chroma Cat in person this past winter? Well, now is your chance to get up close and personal with it’s fluffy face! (or faces) Chroma Cat is going to be on display as part of Transformations, a group show over at LeLivart gallery in Montreal. The show runs from June 8 – July 14, 2017. For more information be sure to check out the Facebook event. Vernissage: June 8 from 6 – 9 pm. I hope to see you there! After a rainy season, things are blooming left right and centre. Flowers, flowers everywhere! 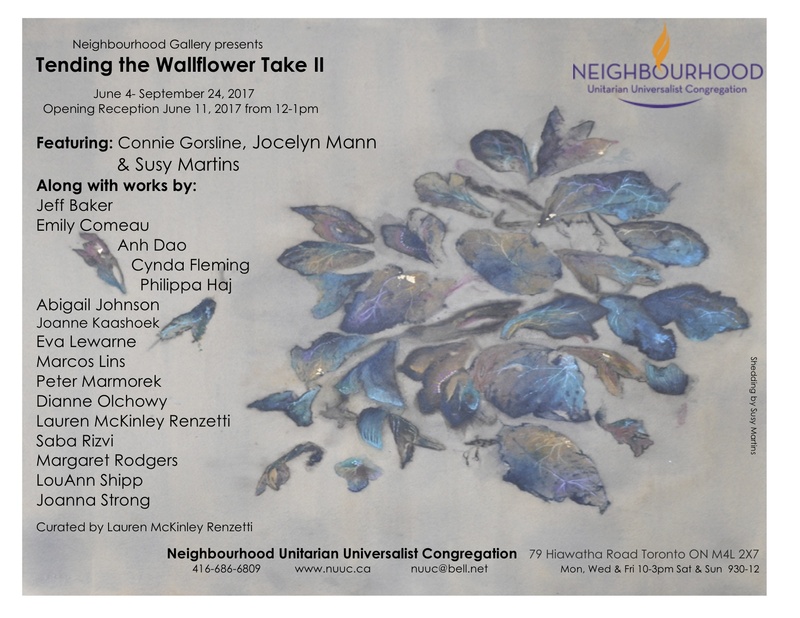 If you have a chance, you should make a plan to head out to the Neighbourhood Gallery in Toronto next week and check out all the things blossoming on their walls. The show, Tending the Wallflower runs from June 4 – September 24, 2017, with an opening reception on June 11. With the end of October coming up super fast, I thought I would share this autumn webzine that came out recently featuring 2 crafty projects that I did for DeSerres. 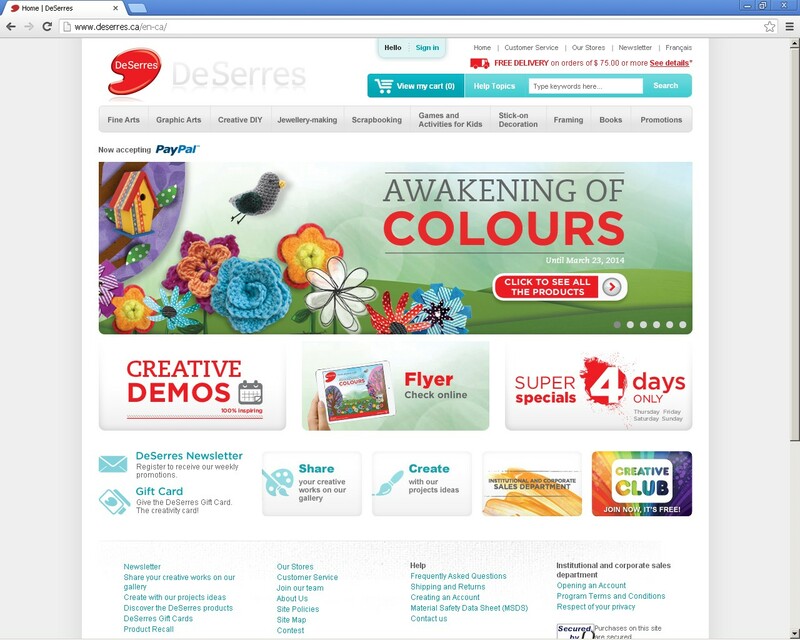 OSEZ CRÉER is an 100% virtual magazine created by DeSerres and Rouge FM dedicated to creativity and fall activities! 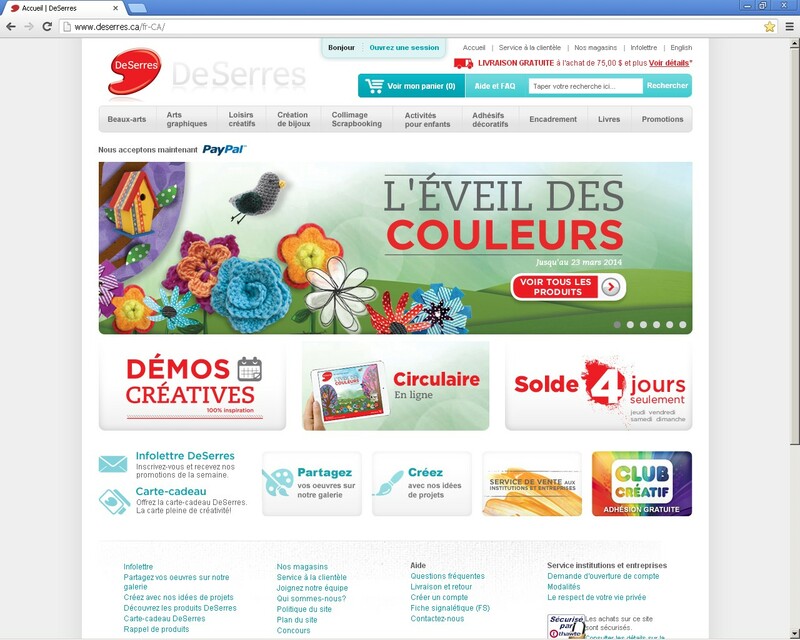 This french webzine features more than 40 fun fall projects. See if you can spot the ones that I made 😉 Here’s a hint, you may have seen one of them on my site last halloween….. If the 40 + projects listed above aren’t enough for you check out this link for DeSerres for more crafty craft things to do as the weather gets colder and you want to stay inside all day. Lots of good halloween suggestions! The people who contributed genetic material to create us mean a lot of different things to a lot of different people. Maybe the person you call “Dad” contributed some chromosones to make you, maybe they didn’t, maybe you have no idea who that person is, maybe the person you think of as your “Dad” is your mom, maybe your dad was terrible, maybe your friend had the dad you wish you had, maybe your dad is dead. Family units are complex and flexible structures that guide us into adulthood one way or another. Through a strong presence or a strong absence, a father can be many different things to a child and I want to talk about those things. With the 31st anniversary fo the death of my father fast approaching, and shortly after that my birthday which will make me as old as my father when he died, I have decided to embark on a series of projects that will explore the relationships we have with the concept of “Father Figures” and discuss the idea of an absense of something or someone being as tangible as a presence. The first stage of this project involves YOU! You see, I am collecting Dads! What is/was your dad like? If you would like to help me with this project, print out the Dad Template Front below and draw your dad, or what you think a dad should look like, or a dad you know. Then print out the Dad Template Back and answer some questions about the dad you drew! If you can’t print them out don’t worry! Simply draw a dad on a standard letter sized piece of paper and answer the questions on the back. I am not picky. Dads come in all shapes and sizes! What you will get in return for helping me out is a credit on the project as a creative collaborator (you don’t have to use your real name if you don’t want to) and a super special Book of the Dads which includes all the dad drawings collected for this project. Thanks a bunch! I look forward to meeting your “dad”. 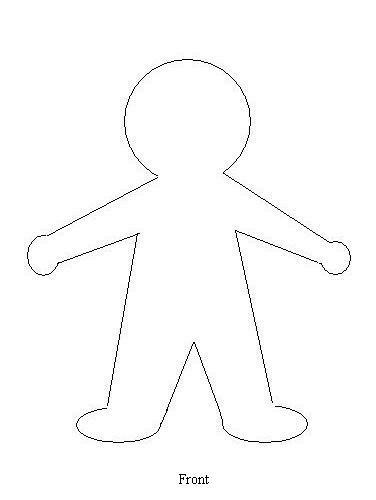 1) Draw a dad on an 8.5″ x 11″ piece of paper (or on the prited template) and mail it to me! *FYI I will be reprinting the drawings in black and white. You can use any colour you want on your drawing but keep in mind that the paler colours might not show up as well when I reprint them. So now that the never ending winter seems to be lessening it’s grip (it’s a glorious 4 degrees today! Or a balmy 39.2 for you Fahrenheit folks) I think it’s time to write about some super cute spring projects that I’ve been working on! Lately, I have been working super hard in collaboration with DeSerres to promote their new line of yarn and knitting and crochet accessories. I posted about this kind of collaboration back in the fall as well when I did some tutorials for them. Well, I am back at it! Pretty soon I will have many more posts coming up with FREE patterns a plenty for all the cute things I have been making for them in order to promote their new spring yarn collection. Expect adorableness! 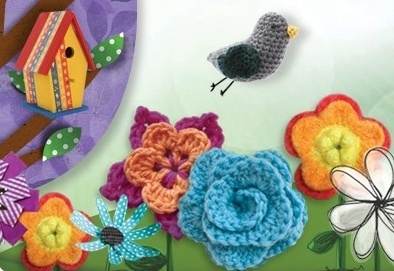 For now though, I will share with you this cute little birdy that I crocheted for their online flyer. This little guy made the rounds all over the internets in their banner ads for the March sale that just wrapped up. Did you see him? 1) A knitting pattern for a delightful tea cosy for impressing your friends at your spring garden party. 2) A light and filmy spring poncho to knit for adding a splash of colour to your wardrobe on cool evenings. 3) A festive knit bunting to brighten up your home everyday or on special occasions. 4) A colourful spring neckerchief that knits up super fast. 5) A sweet as peaches and cream floral barrette to crochet for your hair. I hope you are as excited as I am by the idea of crafting for SPRING! I really look forward to sharing these patterns with you!